What is sustainability in the case of tissue? At a high level congress “Tissue – Moving Towards Sustainability”, major environmental NGOs had discussions with manufacturers and retailers about steps towards responsible production of products like paper for baby nappies (diapers), toilet paper and tissues. The biggest issue for debate was whether significant savings in tissue consumption could be a realistic option for the future. The conference was organised by denkhausbremen, together with its partners EPN and Bremen University of Applied Science and took place in Bremen, Germany early 2018. 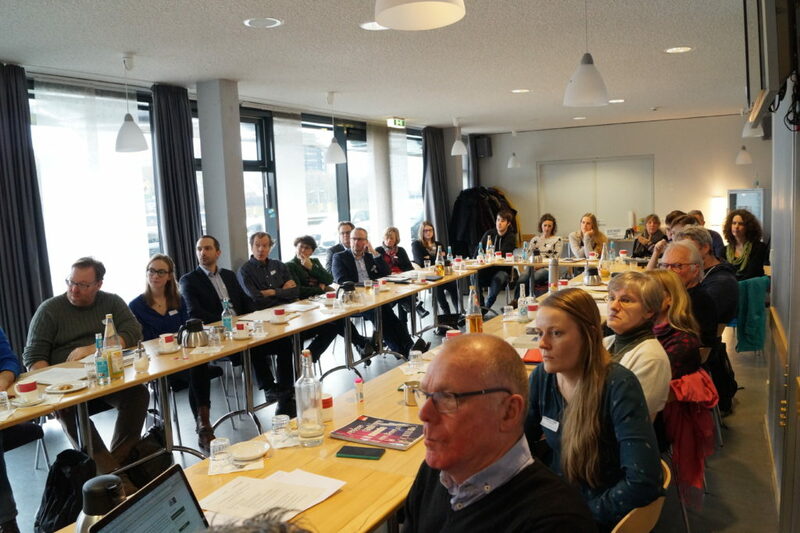 Experts from Environmental organisations like WWF, Greenpeace, BUND (Friends of the Earth), Robin Wood and Environmental Paper Network (EPN) met with representatives from major retail businesses like ALDI Nord and Bio Company. The industry was represented by experts from the large German tissue paper manufacturers WEPA and Fripa as well as the Swedish forest and pulp company Södra. Environmental organizations, retailers and the industry agreed that the use of recycled paper is an important contribution to sustainability. The paper expert Angelika Krumm of the environmental protection organization Robin Wood demanded that recycled content should be further increased and that paper recycling should be better organised. Producers and traders countered that there was currently insufficient consumer demand for increases in recycled paper products. Silvia Kerwin (Head of Sustainability at WEPA) and Andreas Noack (Management at Fripa) pointed out that there are limits to the recycling of paper. Hygiene issues (such as exposure to pollutants) and the limited availability of high quality recycled fibre sets a clear limit on recycling. The congress participants discussed how ecological standards for production of tissue paper could be further improved. Here, the switch to chlorine-free pulp bleaching using the so-called TCF (totally chlorine free) process is an important option, according to the internationally renowned expert Rune Leithe. TCF is preferable to relying on chlorine-containing chemicals for bleaching, and would prevent highly toxic compounds such as dioxins being present in hygiene products such as diapers or tampons. Another problem is that global production capacity for pulp is constantly increasing. “In Brazil and Southeast Asia for example, new pulp mills are springing up like mushrooms,” said Sergio Baffoni of the Environmental Paper Network (EPN). This expansion is also beginning in Africa: in Mozambique, a large pulp mill is being planned, driven by international investors, supplied by huge eucalyptus plantations that are the cause of a huge and controversial land grab (learn more ). Significant differences were found in the assessment to what extent reductions in consumption could contribute to a sustainable tissue industry. Trade and industry referred to their economic needs. The environmentalists made clear that significant savings in tissue consumption should be the key option, since global forests are under pressure due to an increasing hunger for paper. Previous PostUnipers wood burning in Provence power station destroys forests!